. Heat 2 tablespoons of olive oil in a large pot over medium heat.
. Add celery, onions, bell peppers, and carrots.
. Saute until slightly tender.
. Pour in chicken broth.
. Stir in tomatoes and cabbage.
. Bring to a boil and then reduce heat.
. Cook until cabbage is tender.
. Taste broth and adjust seasoning if needed. OK so let’s talk about the 7-day diet!! It’s an old diet that has been around for YEARS and revised over and over again. You are likely to find several different version online. Lately these 7-day diets have become really popular. Even Dr. Oz has one. I NEVER thought I’d like this soup, but it’s so good! On the 7-day diet you follow a certain eating plan everyday. Along with eating these specific foods you are allowed to have cabbage soup aka wonder soup aka weight loss soup aka miracle soup aka weight watcher soup whenever you’d like. This is what drew me to the 7-day diet because I love that I can eat this soup in unlimited quantities. I HATE being hungry and I will not stick to any kind of diet if I’m hungry. Point. Blank. Period. Don’t forget you MUST drink 8 glasses of water each day. My results vary if I slack on water, but 8-10 pounds is what I usually lose. Now about this weight loss Cabbage Soup (Wonder Soup), the website (my7daydiet.com) says you should boil the vegetables in water, uh…no ma’am!! I’ve always used chicken broth or vegetable broth with seasoned canned tomatoes and it has never hindered my weight loss. There is NO WAY I would be eating this soup everyday if I made it according to the recipe on the site. Yuck! Throughout the diet I also use salt, pepper, lots of herbs & seasonings, olive oil, and a tad of butter. These changes have never affected my results. So here is a brief overview of the 7 Day Cabbage Soup diet plan. Day One: Fruit: Eat all of the fruit you want (except bananas). Eat only your soup and the fruit for the first day. For drinks- unsweetened teas, cranberry juice and water. (I had coffee, no cream or sugar). Day Two: Vegetables: Eat until you are stuffed will all fresh, raw or cooked vegetables of your choice. Try to eat leafy green vegetables and stay away from dry beans, peas and corn. Eat all the vegetables you want along with your soup. At dinner, reward yourself with a big baked potato with butter. Do not eat fruit today. Day Five: Beef or Chicken And Tomatos: Ten to twenty ounces of beef and up to six fresh tomatoes. Drink at least 6 to 8 glasses of water this day to wash the uric acid from your body. Eat your soup at least once this day. You may eat broiled or baked chicken instead of beef (but absolutely no skin-on chicken). If you prefer, you can substitute broiled fish for beef on one of the beef days (but not both). Day Seven: Brown rice, unsweetened fruit juices and vegetables: Again stuff, stuff, stuff yourself. Be sure to eat your soup at least once this day. 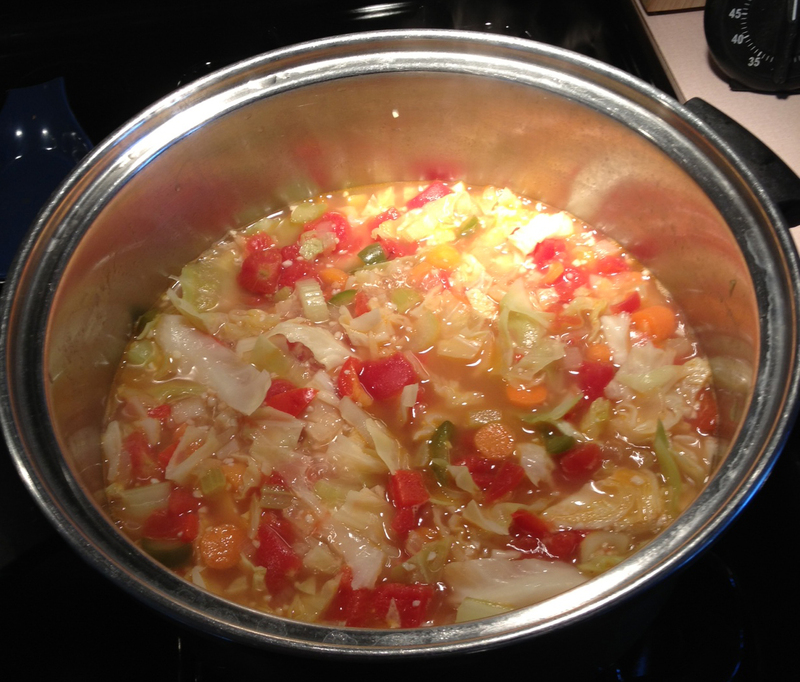 Stick With The Cabbage Soup Diet For 7 Days…And Look Amazing Later, Too! No bread, alcohol, or carbonated beverages, not even diet soda. NEXT: now go to the most dynamic weight loss program if you want to lose more weight. This entry was posted in Information, Just Good Stuff, Recipes - Food and tagged cabbage soup, Diet, food, healthy, lose weight, recipe, wonder soup. Bookmark the permalink.